ANTI-CREVASSES is an ideal cream against scratches, wounds, irritations and mud fever. 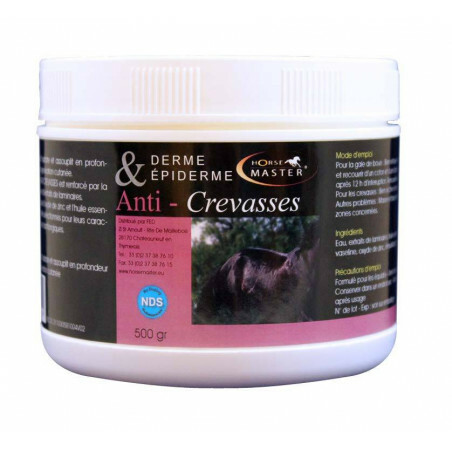 ANTI-CREVASSES nourishes, moisturizes and deeply softens to support cutaneous regeneration. The hydrating role of ANTI-CREVASSES is reinforced by the presence of petrolatum and laminaria digitata extracts. The components such as zinc oxide and and lavender oil were selected for their healing properties.